Mike Pence's Investigation Into Voter Fraud Is Off To A Slow Start It's hard to find anyone involved in voting issues who's been approached to be on the vice president's task force — or at least to admit it. Vice President Mike Pence has been asked to lead a probe of allegations of voter fraud. You might be asking yourself, whatever happened to Vice President Mike Pence's investigation into President Trump's claim that millions of people voted illegally in November? It's been over a month since the president said he would ask Pence to lead a "major investigation" into those claims and the overall issue of voter fraud. Well, apparently, not much has happened so far. A spokesman for Pence said in an e-mail this week that they're "still doing the necessary groundwork." And White House Spokesman Sean Spicer said Monday that the Vice President has been "talking to folks potentially to serve on" his task force and that several secretaries of state have expressed interest. But a spokesperson for the National Association of Secretaries of State (NASS) says they're unaware of any of their members being approached to participate in the investigation. 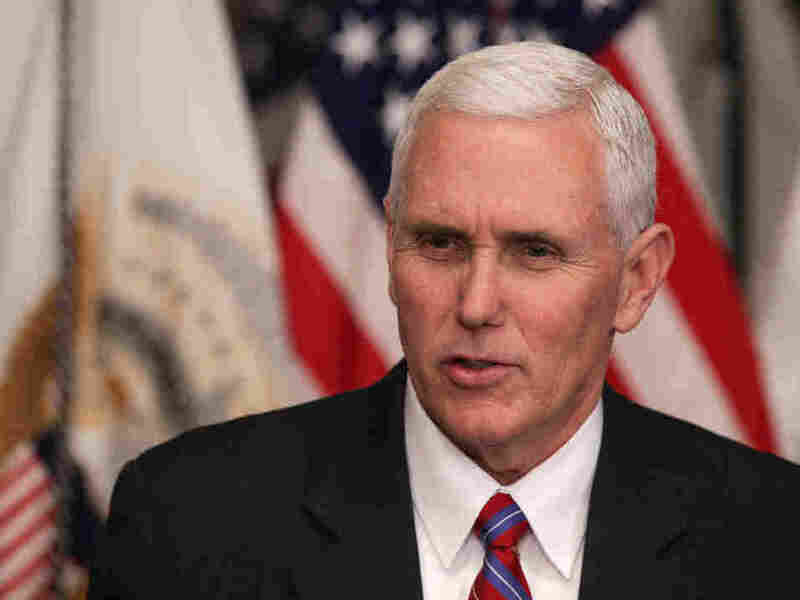 And when NASS representatives went to the White House Tuesday to get an update on the vice president's plans, they were told there was "no information to share" at this time. In fact, it's hard to find anyone involved in voting issues who's been approached to be on the vice president's task force — or at least to admit it. Hans von Spakovsky of the Heritage Foundation says he's neither been asked to participate in the investigation or been consulted about it. "Which seems a bit odd given that I'm one of the leading experts on voter fraud," he wrote in an e-mail. Von Spakovsky is a former Justice Department official, who's been talking and writing about the issue for well over a decade and maintains a database of voter fraud cases around the country. Maybe Tammy Patrick, a former Arizona election official, who served on President Obama's bipartisan commission on election administration? She's a highly respected — and well connected — expert in the field. But she hasn't heard anything either. Catherine Engelbrecht? She heads True the Vote, a grassroots group based in Texas that has been at the forefront of a national campaign to ferret out fraudulent votes. "I haven't been contacted," she replied. But a few people, when contacted, were more vague. "I'm not at liberty to say," responded Gregg Phillips, a True the Vote board member, whose claim last November that he had evidence of more than three million non-citizens casting ballots appears to be the source of Trump's initial assertion. Phillips has yet to produce that evidence, but promises to do so in the coming months. He says it will reveal "simply the biggest election fraud case" ever. And J. Christian Adams, another former Justice Department attorney, who has launched lawsuits against state and local officials arguing that their voter rolls are filled with illegal registrations, especially for non-citizens. When asked if he had been approached, or knew of anyone who had, Adams was noncommittal: "Hopefully good experienced people who have prosecuted voter fraud cases." Another likely candidate? Kansas Secretary of State Kris Kobach. He's one of the only election officials in the country to be out front defending Trump's millions-of-illegal-voters claim. Kobach has made prosecuting fraudulent voters in his state a top priority — although so far, he's only unearthed a few cases. His office did not respond to repeated requests for comment on whether he'll have any role in the Pence investigation. The vice president's biggest challenge could be pulling together a credible investigation when so few people think the President's voter fraud claims are valid. Just this week, the Republican chairman of the House Oversight Committee, Jason Chaffetz, said his panel would not be looking into the President's allegations because "I don't see any evidence" of it. Many other Republicans have said the same. That's led to speculation that the Pence task force will be stacked with those who already believe fraud is widespread to justify efforts to tighten voting rules — with things like strict ID requirements. Many Democrats argue that these rules are intended to suppress the votes of minorities and others who usually support their candidates. Democratic election attorney Bob Bauer, who co-chaired the bipartisan Obama commission, recently wrote that "few with credibility will be anxious to sign up to validate the work of a commission launched to validate a conclusion already reached." He said instead election experts should encourage the Trump administration to drop this investigation and work with state and local officials to improve the voting process. If there's one thing on which most election officials agree, it's that more can be done to clean up state voter rolls — which are still filled with many duplicate and outdated registrations. And Trump himself seemed to indicate a willingness to shift his focus in an interview last month with Fox News host Bill O'Reilly, who challenged the president's voter fraud claims. "Look, Bill, we can be babies, but you take a look at the registration. You have illegals, you have dead people, you have this — it's a really bad situation. It's really bad," said Trump. When O'Reilly pressed the president again on evidence to back up his claim of millions of people voting illegally in November, the President responded: "Forget all that. Just take a look at the registration, and we're going to do it. And I'm going to set up a commission to be headed by Vice President Mike Pence, and we're going to look at it very carefully."